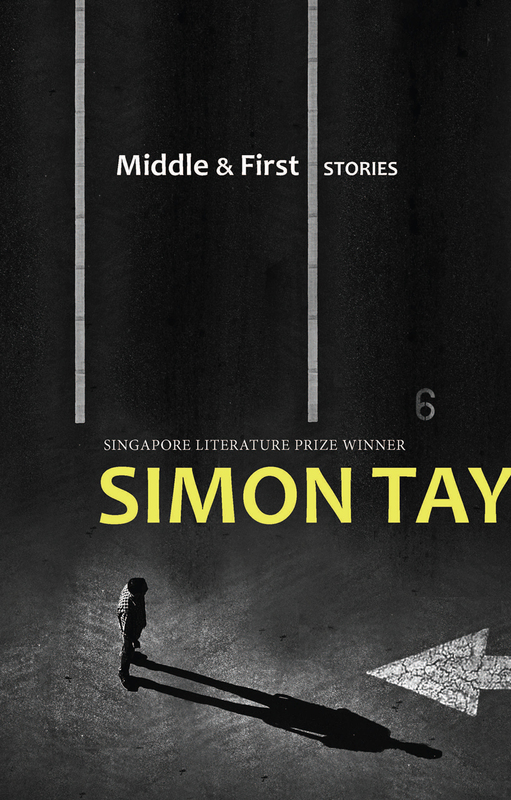 Middle & First by Simon Tay (above) is his first literary book to be published in seven years. How do you solve a problem like Singapore's falling birth rate? Set up a fly-by-night massage parlour that offers "happy endings" to men of quality and redirect what comes out to the country's depleted sperm banks, of course. At least, that is the conclusion arrived at by a well-meaning civil servant in His Curious Death From Duty And Logic, part of a new short story collection by lawyer Simon Tay. The National University of Singapore associate professor of law's latest book, Middle & First, is his first literary book to be published in seven years. That hiatus appears to have brewed a streak of mischief in him - thus his creation of Hung Khim Kok, the earnest civil servant who heeds all too well the adage of "let the private sector supply what the public sector cannot" and later ends up taking the fall when the massage parlour enterprise is exposed. The many hats worn by Tay, a former Nominated Member of Parliament who presides over think- tank Singapore Institute of International Affairs, give him a "second- row seat" to the mechanisms of the civil service. "I do admire them," says the 55-year-old. "But I also have a mischievous streak that wants to see what happens if I take them so seriously that I push it to the extreme." The comedy of His Curious Death aside, much of Middle & First has a more sombre bent. As the title suggests, it strives to parse the murky condition of being in the middle of things. The collection's first story contemplates this state. In it, three former classmates - two now lawyers, one a principal - wait for a fourth at rooftop bar The Lantern. Woven in between their brash talk of success and brazen flirting with younger women are sobering vignettes from their younger days - a schoolmate's death, a friend's affair with her boss and a student's suicide. Tay belongs to this sandwiched generation born before Singapore's independence, "not pioneers but not millennials". Like their country, which just turned 50 last year, they are passing through middle age. "The middle seems like a nothing place," says Tay. "At the start and the end of a story, you know where you are - in the case of the Singapore story, struggling at the start, successful at the end. "But, in the middle, you don't know what you're doing until you do it. We're all just trying to make sense of the middle." Much of this, it seems, involves looking back at what came first - in this case, the 1990s when Tay first started publishing stories. "We're old enough to be nostalgic," says Tay, who is married with a 19-year-old son. "We're always looking backwards." In the story Grandfather Tim, he reprises the character Cousin Tim from Stand Alone, one of the stories from his first prose collection, now 25 years old. Once an unconventional young student who makes it big, Cousin Tim reappears in Middle & First in his 50s. Tay says he is most interested to know how people will react to the way he has aged a character that has been taught in school and even has crib notes about him online. "I hope they'll be surprised and satisfied." Another of his older works will also be making a reappearance soon, this time in a leap to the big screen. His novel, City Of Small Blessings, which bagged him the Singapore Literature Prize in 2010, is to be loosely adapted into a feature film by local director Wong Chen-Hsi in the next two years. Wong is tight-lipped on the details for now, revealing only that she is developing a screenplay with TorinoFilmLab, a laboratory based in Turin, Italy, that primarily supports people working on their first and second fiction feature films. Tay says: "It's interesting to see how other artists respond to your stories. They have to reimagine them, respond to them just like a reader." This article was first published on December 25, 2016.